Like everything else, Chromebooks too have their own drawbacks and may not be suitable for everyone. Hence it is necessary to be aware of the limitations and disadvantages of Chromebooks before making a decision. We are listing below only the disadvantages of Chromebooks, it is recommended that you also read about ‘Advantages of Chromebooks‘ in order to get an overall picture of this new breed of computers. Chromebooks are generally sold with 16 to 32 GB of local storage; they also have an option to extend the storage by another 32GB using a SD Card. This means you will have to get comfortable with the idea of storing all your files on Google’s Cloud Storage service or manage with available in-built storage in Chromebooks, USB sticks and other external storage devices. Chromebooks are basically designed to perform all their computing and storage functions on Google’s Cloud platform. In order to make the full use of a Chromebook, you need to get comfortable with the idea of having your files, books, pictures and music on Google Drive. Cloud storage is practically unlimited and not at all expensive. Google offers 100 GB of free storage on Google Drive for 2 years, after which you will be paying a small fee. However, not everyone is comfortable with the idea of having files with a cloud storage service. The concept of having files stored and available locally is somewhat hardwired into our system, it will take a while to get comfortable with the idea of storing files away on the cloud. Although Chromebooks are known for their ultra-fast boot up times, they can get slow while performing tasks like working on spreadsheets or retrieving and saving files. This is usually due to your internet connection, since all the processing is done on the Cloud, the speed of your internet connection also has a bearing on the speed of Chromebooks. Unlike regular laptops, there is no way of connecting a Chromebook to a printer. However, this does not mean that you cannot print from a Chromebook. Chromebooks make use of Google’s Cloud print technology to get your work printed on a printer. This basically means that instead of sending your work directly to a connected printer, Chromebooks will be sending your files via the internet to a Cloud ready printer. Chromebooks are not for you, in case you are totally addicted to Microsoft Office products. Chromebooks have their own version of free online suite of office-like services that allow you to work on documents, Excel like spreadsheets and presentations. 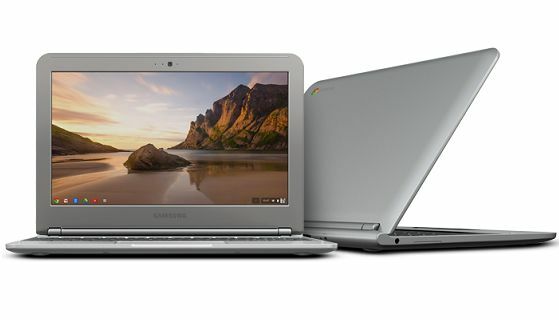 Do not go for Chromebooks, in case you are thinking of using professional productivity software programs like AutoCAD, Primavera, Timberline or professional Accounting Programs. Chromebooks do not support such software programs; it may be a while before such programs become available in online version. There are certainly some good online video editing services like WeVideo that you can use on a Chromebook. However, Chromebooks do not support professional video editing programs like Movie Plus, Cyberlink Power Director, Adobe Premier Elements and others. These programs require on device local processing power which is present in traditional computers, but not in Chromebooks. Photoshop, Photoshop Elements and other Adobe desktop software solutions are not supported by Chromebooks. You will be relying on online photo-editing applications like Pixlr, online version of Photoshop Express Editor and others. These online photo-editing tools are good enough for most casual photo editing functions but not meant for professional photo editing. A good news for Chromebook users is that Adobe is working on releasing a full blown version of Photoshop for Chromebooks. With Chromebooks you will be limited to playing online games like Cut the Rope, Bejeweled and other games available on Google Chrome Store – you will not be able to play high intensity PC games. It must also be mentioned that Cheaper Windows computers that are trying to compete with Chromebooks are also not suitable for playing power intensive games. While Chromebooks do have offline capabilities, they are designed to work at their best when you are connected to the Google Drive via an internet connection. Chromebooks do not come with optical drives, this means you will not be able to play your favorite DVDs and Blu-Ray Discs. Also, there is no way of getting around this limitation as Chromebooks do not support external optical drives. This is not a major disadvantage as optical disk drives are gradually getting phased out of most laptop computers.